I’m not an expert at painting and restoring furniture. But I have learned a lot since I’ve been doing it…and since I’ve promised a few people this post, I’m going to jot down some of my resources and painting tips for you. I buy pieces that are in relatively good shape, and solid wood. Sometimes you have to use your imagination a little bit. Don’t be afraid of chips, dents, or wear and tear. 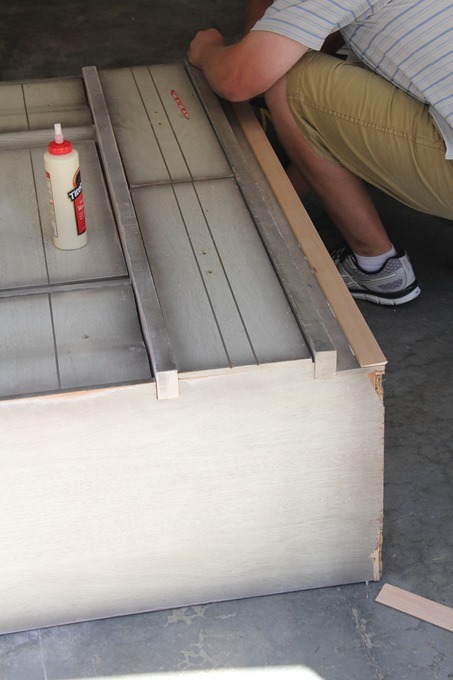 Wood filler, wood glue, or a little bit of trim go a long way! 90% of the time I sand my larger pieces. If the finish is really damaged or has large flat surfaces I break out the big guns and use an electric sander. I only sand to smooth the surface and get scratches out, but if your piece is already smooth you can actually skip the sanding. Some paints (like Chalk paint) cut out the sanding step completely…but if your surface is rough or has any scratches in it, you’ll still want to give it a good sanding. Don’t worry about getting all the cracks and crevices, just prime those areas well. After sanding, clean your piece. If I sanded it a lot I use a vacuum brush attachment over the whole thing, then I wipe it down with wet/dry rags. Get all of the dust off! Always always always prime. 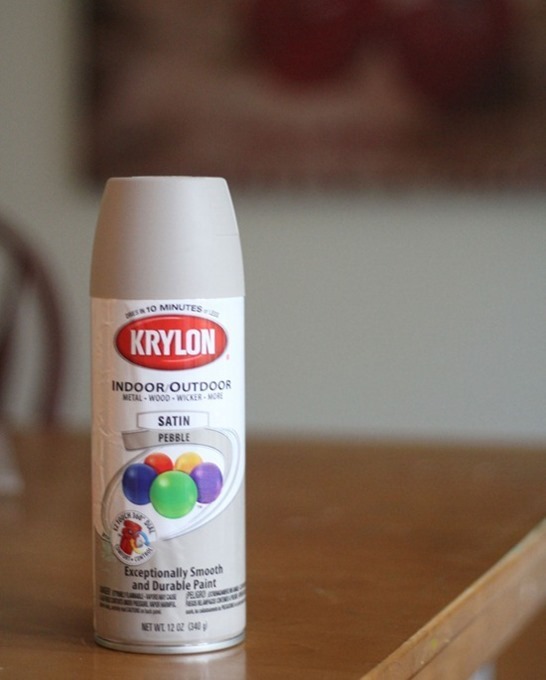 I use the Zinsser primer, it comes as a brush on paint, or as a spray paint. Both work great, but for larger pieces with large flat surfaces, I recommend lightly rolling it on or brushing it on. Most of the time I use plain old Interior Latex paint from Home Depot…it’s usually left over paint from my house somewhere. I like to use a smooth 4″ roller to do the large flat surfaces and a brush in the curved or hard to reach spots. I think one of the biggest mistakes is not allowing the paint to dry long enough after painting. It can take up to a week for the paint to fully harden…so be patient…and leave it alone for as long as possible. Also wait for the paint to dry fully in between coats. I usually give it full day, or do a coat in the morning and one before bed. On larger pieces like a dresser or table I always use a protective finish once the paint is completely dry. I like Minwax Water Based Polycrylic just because it doesn’t have the strong fumes. On a table top or the top of a dresser I will do at least 2 or three coats to keep it protected. **If you’re painting over white paint you might not want to use polycrylic. Even though it says it won’t yellow I’ve heard from a couple of people that said it did, so use a wax product instead (some wax recommendations at the bottom of this post). But spray paint doesn’t create an even sheen. So if you use it on a large dresser, table, or anything with large flat surfaces…you’ll see that some spots might be shinier or more opaque than others. Which is why I don’t use spray paint on anything larger than a nightstand. I spray paint shiny wood, plastic, metal…everything. I rarely sand before spray paint, but I do use a spray primer as an extra precaution. 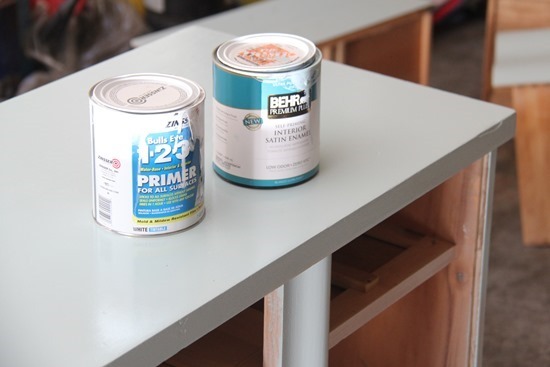 Favorite Paints for Furniture, fixing furniture, priming, and finishing. It's such an amazing transformation from 'raw' to painted, definitely worth the effort and thank you for the top tips. thank you for sharing this.. funny that I was looking for tips via google this morning, but found none that was put clearly and as fun as yours! I was just coming here for some quilts, and I got an answer to my search! thanks! can't wait to try soon. hopefully i am patient enough to let it dry properly! Thank you for this post. I've been doing some refinishing — and holding off on some refinishing because I was afraid to mess it up. Thank you for the tips and inspiration. This is fabulous information! I was actually going to ask what you use as a finish. I need to put another coat on my sewing table and let it dry better. Then finish. Thanks so much for posting! Wow you definitely have an eye to spot the pieces that have potential ! Thanks Allison! I've painted a couple pieces of furniture with mixed results. I just bought an antique bedroom set on Craigslist for my daughter's "big girl" room that I need to get started on soon, so your post is timed perfectly! Thanks Allison! 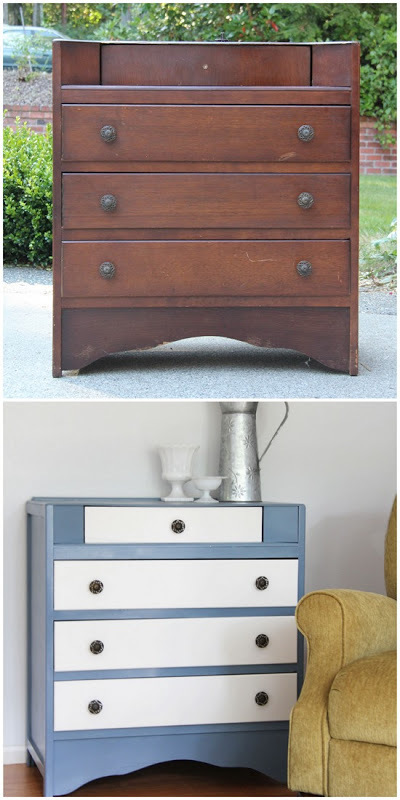 What a perfectly timed post, I am about to embark on painting my sideboard lime green! 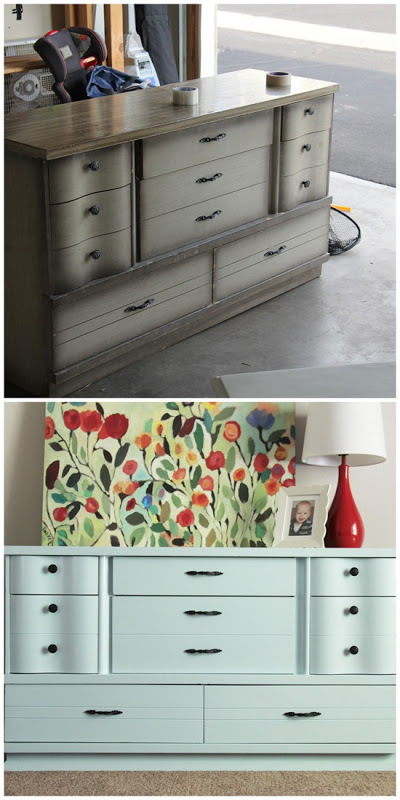 Question I'm dying to know- do you paint inside drawers, etc? Love love love your painting amazing ness!!!! 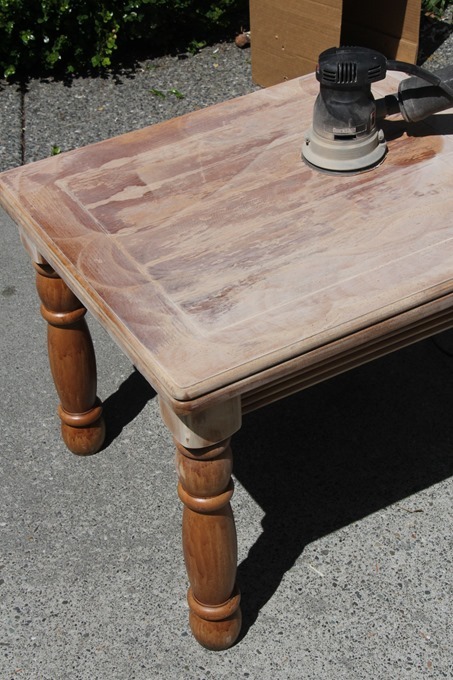 Talk about perfect timing, I just blogged about ruining my coffee table with fingernail polish remover. I've been making table runners to cover the top and think it's time to paint it. So nice of you to share all this information! I have been wondering the steps you went through for such beautiful pieces! I'm going to have to bookmark this because I know I'll be using it as a reference! Thanks so much, Allison!! 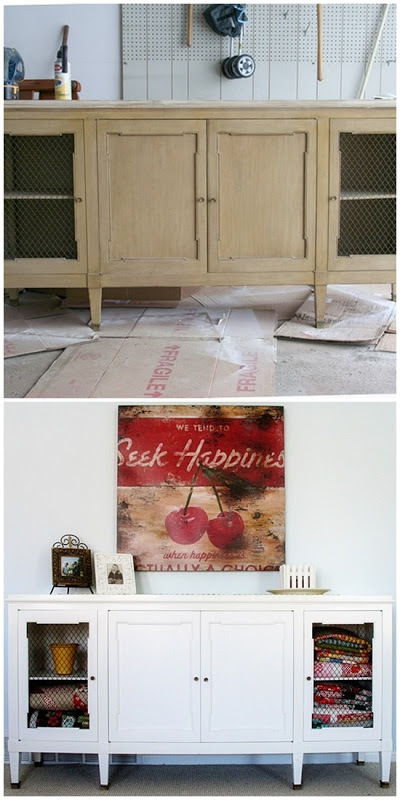 Awesome tips and I LOVE that top piece with the chicken wire! it's driving my husband BANANAS but oh well. I'm painting it or it can SIT in that store room! LOL! Thanks again for sharing your secrets on refinishing. I am afraid that the heat will force me to put off painting my new dresser. Your opinion please? I just painted some furniture for my son's room this past week. Several thrifted oak pieces that I painted black. He loves it! Next week, we'll paint his room. Thank you so much for the link love Allison! 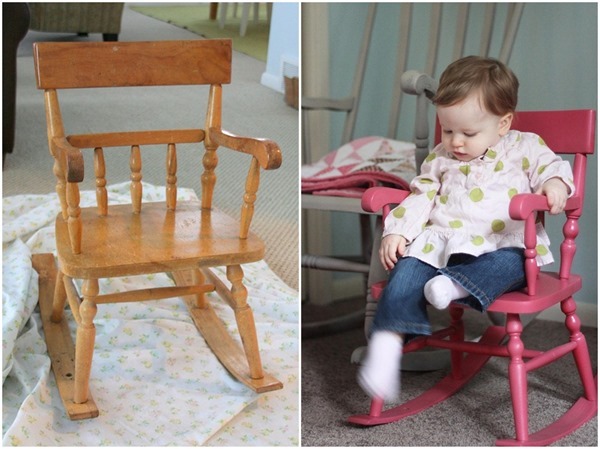 You're work is beautiful, that rocking chair is so fun in pink and your sideboard is tres chic! Loved your list of tips and resources too! I have just LOVED this post! 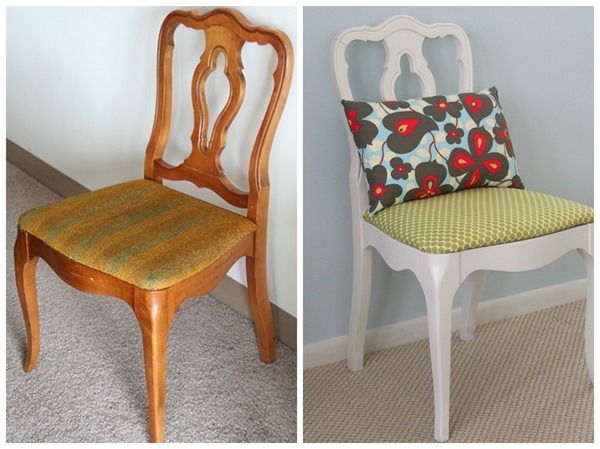 How wonderfully you've transformed so many pieces of furniture. Very inspiring. I have a small wooden cradle from Goodwill that I now have a new vision for. Thanks for the great advice. I am working on miniature chest of drawers in pine that I bought as an unfinished kit. My plan is to stain it, but if it doesn't turn out, I want to paint it barn red. I bought it to use in my living room as an end table. I think the drawers will be perfect for hiding my knitting. We are supposed to have dry weather this week, so I want to complete it before next weekend—it seems that when it is rainy and humid out, things never want to dry. Thank you for the tips and resources! I have some pieces I would like to do. Perfect timing for me! I've got plans to paint a caned table I just picked up. These are all such cute finished projects!! What is the paint color on the light blue dresser. It's exactly the color I've been imagining for a record cabinet we are building!! You have done a fabulous job on all that furniture! Next time you are in Australia, can I persuade you to stay over at our place and fix up some old chests of drawers that I have? I suppose you want me to pay your airfare..LOL!!! Everything looks amazing! If I had more patience I would try… or maybe more time? Thanks for the inspiration. Fabulously informative; many thanks. Certainly does make a huge difference in a piece of beautiful furniture to give it a second chance and keep it out of the landfills and dumps we are so fond of filling with our cast-offs. Hi Allison. I bought some water based minwax in a spray can today. Yay! :0) I am going to try it out on a couple of chairs. :0) Happy 4th of July!